The widget (please see bottom note on how to open widget after install) gives you a constant view of your current step count and distance traveled. It also displays your current heart rate if you are using a Bluetooth heart rate monitor (we recommend the Mio or Polar H7). There is a button to reset the visible count so you can track specific distances, for example when walking for exercise you can reset the count then walk a specific distance. Also great for knowing how far it is from your car to your office building or the grocery store. 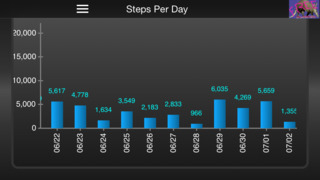 The reset button does not affect the count in the steps log so the steps from before will continue to show up in charts. 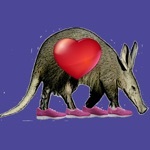 Charts include steps per day, distance per day, steps per hour, distance per hour, and step cadence (speed per minute). Maximum heart rate and average heart rate is displayed on the steps per hour chart. 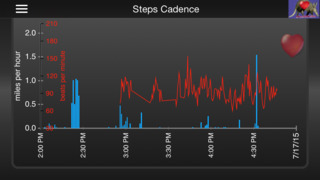 There is also a more detailed view on the step cadence chart showing heart rate by minute. The "start" at the bottom shows the most recent time that the count was last reset. The count is automatically reset at midnight. The "elapsed" shows the time since the reset. You can use this to walk for a fixed period of time instead of a fixed distance. The most accurate results are achieved by carrying your phone securely. The best carrying locations are strapped in an armband, in a belt-worn phone case, or in a pocket of pants. It also counts very well in a snug pocket of a purse or laptop case, depending on how you carry your bag. Go into the notification center and push the button to edit. 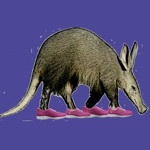 Add the Aardvark Pedometer widget to your screen. If you prefer to not have the widget on your screen, your current information is also displayed in the notification center.